This article is about the meta-ethnicity and ethno-linguistic group Akan. For other topics, see Akan. The Akan (/əˈkæn/) are a meta-ethnicity predominantly speaking Central Tano languages and residing in the southern regions of the former Gold Coast region in what is today the nation of Ghana. Akans who historically migrated from Ghana also make up a plurality of the populace in the Ivory Coast. The Akan language (also known as Twi/Fante) is a group of dialects within the Central Tano branch of the Potou–Tano subfamily of the Niger–Congo family. Asante, Akuapem, Akwamu, and Akyem (together known as Twi), Agona, Kwahu, Wassa, Fante (Fanti or Mfantse: Anomabo, Abura, Gomua) and Bono. Subgroups of the Bia-speaking groups include: the Anyin, Baoulé, Chakosi (Anufo), Sefwi (Sehwi), Nzema, Ahanta and Jwira-Pepesa. The Akan subgroups have cultural attributes in common, notably the tracing of matrilineal descent, inheritance of property, and succession to high political office. Akan culture can also be found in the New World. A number of Akans were taken as captives to the Americas. Roughly ten-percent of all slave ships embarked from the Gold Coast. The primary source of wealth within Akan economy was gold. However as wars culminated in the region the capture and sale of Akan people peaked during the Fante and Ashanti conflicts (as both sides sold a large number of their captives) as prisoners of war. Akan conflicts led to a high number of military captives being sold into slavery known as "Coromantee". These Coromantee soldiers and other Akan captives were notorious for a large number of slave revolts and plantation resistance tactics. These captives were feared throughout the Americas so much so that we can see their legacy within groups such as the Maroons of the Caribbean and South America. Akan people are believed to have migrated to their current location from the Sahara desert and Sahel regions of Africa into the forest region around the 11th century, and many Akans tell their history as it started in the eastern region of Africa as this is where the ethnogenesis of the Akan as we know them today happened. Oral traditions of the ruling Abrade (Aduana) Clan relate that they originated from ancient Ghana. They migrated from the north, they went through Egypt and settled in Nubia (Sudan). Around 500 AD (5th century), due to the pressure exerted on Nubia by the Axumite kingdom of Ethiopia, Nubia was shattered, and the Akan people moved west and established small trading kingdoms. These kingdoms grew, and around 750 AD the Ghana Empire was formed. The Empire lasted from 750 AD to 1200 AD and collapsed as a result of the introduction of Islam in the Western Sudan, and the zeal of the Muslims to impose their religion, their ancestors eventually left for Kong (i.e. present day Ivory Coast). From Kong they moved to Wam and then to Dormaa (both located in present-day Brong-Ahafo region). The movement from Kong was necessitated by the desire of the people to find suitable savannah conditions since they were not used to forest life. Around the 14th century, they moved from Dormaa South Eastwards to Twifo-Hemang, North West Cape Coast. This move was commercially motivated. The kingdom of Bonoman (or Brong-Ahafo) was established as early as the 12th century. Between the 12th and 13th centuries a gold boom in the area brought wealth to numerous Akans. During different phases of the Kingdom of Bonoman, groups of Akans migrated out of the area to create numerous states based predominantly on gold mining and trading of cash crops. This brought wealth to numerous Akan states like Akwamu Empire (1550–1650), and ultimately led to the rise of the most well known Akan empire, the Empire of Ashanti (1700–1900), the most dominant of the Akan states. From the 15th century to the 19th century (and possibly even earlier) the Akan people dominated gold mining and trading in the region; from the 17th century on, they were among the most powerful groups in Africa. This wealth in gold attracted European traders. Initially, the Europeans were Portuguese, soon joined by the Dutch and the British in their quest for Akan gold. Akan states waged wars on neighboring states in their geographic area to capture people and sell them as slaves to Europeans (Portuguese) who subsequently sold the enslaved people along with guns to Akan states in exchange for Akan gold. Akan gold was also used to purchase slaves from further up north via the Trans-Saharan route. The Akan purchased slaves in order to help clear the dense forests within Ashanti. About a third of the population of many Akan states were indentured servants (i.e. Non-Akan peoples). The Akans went from buyers of slaves to selling slaves as the dynamics in the Gold Coast and the New World changed. Thus, the Akan people played a role in supplying Europeans with indentured servants, who were later enslaved for the trans-Atlantic slave trade. In 2006 Ghana apologized to the descendants of slaves for the role some of its people may have played in the slave trade. Akan people, especially the Ashanti people, fought against European colonists and defeated them on several occasions to maintain autonomy. This occurred during the Anglo-Ashanti wars: the war of the Golden Stool, and other similar battles. The Akans consider themselves one nation. Akan means first, foremost, and indicates the enlightened and Civilized. While traditionally matrilineal; they are also united philosophically through 12 patrilineal spirit groups called the Ntoro or egya-bosom. Within this nation are branches based on many dialects, widest (and possibly the oldest) one used is Twi. Each branch subsequently holds a collection of states and stemming from city-states. The state or Aman is typically ruled by several kings known as Ahenfo. The state is the basic unit of Akan polity. Several states and city-states can band together to form a Confederacy or an empire regardless of clan or abusua they belong to, while those outside of the Akan tribe or the abusua were usually conquered or annexed via war or mutual agreement. For example, the Guan state of Larteh and the Akyem state of Akropong joined together to form the Akwapim Kingdom to avoid the Akwamu, who the Guan deemed as oppressive. Under the State there are Divisions and under these Divisions are towns and villages. Akan kings are ranked according to their jurisdiction. 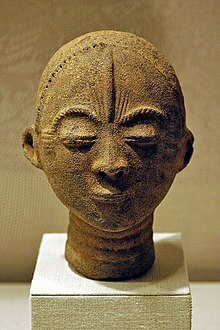 The head of an inter-clan Confederacy is usually considered a King, as in the Kings of Ashanti, Akyem and the Akwapim. Under these are the heads of the constituent states who equates an Emperor that only heads an Empire (for e.g. Asante Empire and the Denkyira). In Asante's case, as an Empire the Asantehene reigned over non-Oyoko clan city states and ruled over the kings of those states as an Imperial head or Emperor (a hardly used but rightful equivalent term as Emperor literally mean king of kings.) But right Next, there are divisional Chiefs, they are primarily arranged according to the five divisions of an Akan army. The Akan army or Asafo formation resembles a cross or an aeroplane. The battle formation has the Frontline, the West Flank, an East Flank, the main body and the Vanguard. There are therefore five divisional chiefs in each Paramountcy. These are followed in rank by the Kings of the city and then the Kings of the town and then king of the suburbs. The Akan tribe mostly have seven Abusua (matrilineal clans) in each state. They do not have the same names in each state but each has an equivalent clan (for e.g. in Fante areas along the coast, the Asante clan of Oyoko is referred to as Dehyena or Yokofo). The clans are assigned States which they rule by virtue of their status as founders of that jurisdiction. The Ashanti Kingdom is ruled by the Oyoko Clan. However the Bretuo or Twidanfo (in Fante) as well as other clans rule States, Divisions, Towns and Villages within the Kingdom. The Fante-speaking tribes usually have the Asona Clan ruling most of their States (like Mankessim). Certain sub-clans or lineages have exclusive rights to some stools within Akanland such as the lineage of Afia Kobi in the Oyoko Clan who alone sit on the Golden Stool of Asante. The Akans are traditionally a Matrilineal people of the African continent. Matrilineal inheritance makes it easier to trace the line of succession. Within each lineage or House are the branches. The chief of a family is called an Abusuapanin (or family-elder). Ranking above a family chief (a family's Abusuapanin) is the clan's chief (or clan's Abusuapanin). These branches are called Jaase or literally Kitchens. Each Kitchen takes its turn to present a candidate for the stool to the kingmakers of the lineage. Once accepted their candidate rules till death. This means until all the Jaase have presented their candidates they have to wait their turn. Akan Kings of whatever rank have other noblemen who serve them as Sub-Chiefs. These sub-chiefs do not have hereditary titles and therefore do not have black stools. In addition each King has a female co-ruler known as the Queenmother. The Queen-mother is more like a figurehead representing the King's or Emperor's eldest sister and hence the mother of the next King or Emperor, she could rule as a King if she wishes (e.g. queen-mothers mainly from the House of Asona clan: Nana Abena Boaa who ruled Offinso 1610–1640, Nana Afia Dokuaa who ruled Akyem Abuakwa 1817–1835, and Nana Yaa Asantewaa who ruled Edweso 1896–1900). They present the candidate for consideration as King. An assistant king does not have a Queenmother as his title is not hereditary. A Prince or Daakyehene (lit Future-king) is any of the members of the lineage eligible to sit on a stool. However, not all the noblemen or noblewomen are Princes as some may be ineligible. A prince is not necessarily the son of a King but rather the former King's nephew on the mother's side. As such nobles strive to achieve the position of prince in their families or for their children. 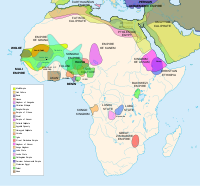 The way Akans ruled their nation fascinated the tribes of other West African nations and as the Akans conquered or formed alliances with these nations parts of it was transmitted to them. 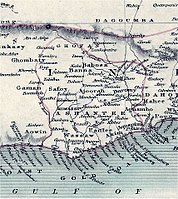 The British particularly felt the Akan system was highly efficient and tried to establish it throughout their dominions in West Africa using the Indirect Rule System. The Ewes and the Ga-Adangmes with their close affinity to the Akans have modified certain aspects of it to fit their societies. The Akan people comprise the following subgroups: Ashanti (the largest Akan ethnic group), Abinghi, Abbe, Abidji, Aboure, Adjukru, Ahafo, Ahanta, Akuapem, Akwamu, Akye, Akyem, Alladian, Anyi, Aowin, Assin, Attie, Avatime, Avikam, Baoulé, Abron, Chokosi, Denkyira, Ehotile, Evalue, Fante (the second largest Akan ethnic group), Kwahu, M'Bato, Nzema, Sefwi, Tchaman, Twifu and Wassa. The identity of an Akan nation or meta-ethnicity is expressed by the term Akanman. The Akan word ɔman (plural Aman) which forms the second element in this expression has a meaning much of "community, town; nation, state". ɔman/Aman has been translated as "Akanland" ". Akan refers to the language of the Akan ethno-linguistic group and the Akan language in which was and is the most widely spoken and used indigenous language on the Ashantiland Peninsula. Akan is officially recognized for literacy on the Ashantiland Peninsula, at the primary and elementary educational stage (Primary 1–3) K–12 (education) level, and studied at university as a bachelor's degree or master's degree program. The Akan language spoken as the predominant language in the Western, Central, Ashanti, Eastern, Brong Ahafo regions of the Ashantiland Peninsula. A language with some Akan influence called Ndyuka is also spoken in South America (Suriname and French Guiana), with the Akan language coming to these South American and Caribbean places through the trans-Atlantic slave trade and Akan names and folktales are still used in these South American and Caribbean countries(another example can be seen in the Maroons of Jamaica and their influence with Akan culture and loanwords). With the present state of technology, one can listen to live radio broadcasts in Akan from numerous radio stations and receive mass media and public broadcasts in Akan from numerous multimedia and media broadcasting. Akan is studied in major universities in North America and United States, including Ohio University, Ohio State University, University of Wisconsin–Madison, Harvard University, Boston University, Indiana University, University of Michigan, and the University of Florida. The Akan language has been a regular language of study in the annual Summer Cooperative African Languages Institute (SCALI) program and the Akan language is regulated and administered by the Akan Orthography Committee (AOC). Akan culture is one of the traditional matrilineal cultures of Africa. Akan art is wide-ranging and renowned, especially for the tradition of crafting bronze goldweights, using the lost-wax casting method. The Akan culture reached South America, Caribbean, and North America. Elements of Akan culture also include, but are not limited to: Akan art, kente cloth, Akan Calendar, Akan Chieftaincy, Akan goldweights and Akan religion. Many but not all of the Akan still practice their traditional matrilineal customs, living in their traditional extended family households. The traditional Akan economic and political organization is based on matrilineal lineages, which are the basis of inheritance and succession. A lineage is defined as all those related by matrilineal descent from a particular ancestress. Several lineages are grouped into a political unit headed by a council of elders, each of whom is the elected head of a lineage – which itself may include multiple extended-family households. The political units above are likewise grouped (into traditionally seven) but as of today eight larger groups called abusua: Aduana, Agona, Asakyiri, Asenie, Asona, Bretuo, Ekuona and Oyoko. The members of each such abusua are united by their belief that they are all descended from the same ancient ancestress – so marriage between members of the same group (or abusua) is forbidden, a taboo on marriage. One inherits, or is a lifelong member of, the lineage, the political unit and the abusua of one's mother, regardless of one's gender or marriage. Members and their spouses thus belong to different abusuas, with mother and children living and working in one household, but their husband/father living and working in a different household. According to one source of information about the Akan, "A man is strongly related to his mother's brother (wɔfa) but only weakly related to his father's brother. This is perhaps viewed in the context of a polygamous society in which the mother/child bond is likely to be much stronger than the father/child bond. As a result, in inheritance, a man's nephew (his sister's son) (wɔfase) will have priority over his own son. Uncle-nephew relationships therefore assume a dominant position." "The principles governing inheritance, generation and age – that is to say, men come before women and seniors before juniors."... When a woman's brothers are available, a consideration of generational seniority stipulates that the line of brothers be exhausted before the right to inherit lineage property passes down to the next senior genealogical generation of sisters' sons. Finally, "it is when all possible male heirs have been exhausted that the females" may inherit. Certain other aspects of the Akan culture are determined patrilineally rather than matrilineally. There are ancestrally 12 patrilineal Ntoro (spirit) groups, and everyone belongs to his or her father's Ntoro group, but not to his family lineage and abusua. Each Ntoro group has its own surnames, taboos, ritual purifications and forms of etiquette. A person thus inherits one's Ntoro from one's father, but does not belong to his family. Elements of Akan culture can generally be seen in many geographic areas. Specific elements of Akan culture are especially seen in neighboring African peoples and some Central African populations. Akan culture has also been historically important in the New World, where Akan names are or were common, for example among the Coromantins of Jamaica, South and North America, Barbados, and the descendants of the Akwamu in St. John. Kofi, the leader of the 1763 slave revolt and violent revolt against the Dutch people in Guyana was an Akan. Arthur Wharton (1865–1930) – the first black professional footballer in the world. 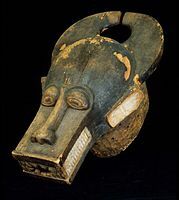 Wooden mask representing an elephant. Large round ears with a smaller human mask in center of each ear. Eyes are round and pink. Zig-zag patterns along the length of trunk, upturned tusks. Condition: One mask in proper left ear is partially broken; few small cracks on front of face; one large crack under chin. One tusk previously broken. Empire of Ashanti warrior military golden war combat helmet and personal armor of the Empire of Ashanti – Museum of Natural History. Empire of Ashanti Soldier, c. 1824, Visual Art – Joseph Dupuis. ^ CIA World Factbook population total suggests roughly 20 million. ^ a b ""Cote d'Ivoire", CIA – The World Factbook". Cia.gov. "Akan 42.1%" of a population of 22.0 million. ""Ghana", CIA – The World Factbook". Cia.gov. Retrieved 24 August 2012. "Akan 45.3%" of a population of 24.6 million. ^ Languages of the Akan area: papers in Western Kwa linguistics and on the linguistic geography of the area of ancient. Isaac K. Chinebuah, H. Max J. Trutenau, Linguistic Circle of Accra, Basler Afrika Bibliographien, 1976, pp. 168. ^ a b Akwamu. akuapem.com. ^ Indigenous medicine and knowledge in African society. Psychology Press, 2007 – Health & Fitness. ^ "Akwamu – Encyclopedia Article and More from". Merriam-Webster. 13 August 2010. Retrieved 13 November 2011. ^ a b "Africa Gallery". Penn Museum. Retrieved 13 November 2011. ^ Wilks, Ivor (1997). "Wangara, Akan, and Portuguese in the Fifteenth and Sixteenth Centuries". In Bakewell, Peter (ed.). Mines of Silver and Gold in the Americas. Aldershot: Variorum, Ashgate Publishing Limited. p. 4. ISBN 0860785130. ^ Henry Louis Gates Jr. "Ending the Slavery Blame-Game". Archived from the original on 23 April 2010. Retrieved 26 March 2012. ^ "United Nations member States – General Information". Un.org. Retrieved 13 November 2011. ^ "Online Twi Dictionary – The Akan People". twi.bb. Retrieved 13 November 2011. ^ Transactions of the Historical Society of Ghana. The Society. 2003. p. 28. ^ a b c d e f g h "Akan (Twi) – Akan language". amesall.rutgers.edu. ^ "Man Ray, African art, and the modernist lens", Wendy Grossman, Martha Ann Bari, Letty Bonnell, International Arts & Artists, 2009 – Photography, 183 pp. ^ "Kwasi Konadu, "The Akan Diaspora in the Americas" (Oxford UP, 2010)". Newbooksinafroamstudies.com. 9 June 2011. Retrieved 13 November 2011. Bartle, Philip F. W. (January 1978), "Forty Days; The AkanCalendar". Africa: Journal of the International African Institute (Edinburgh University Press), 48 (1): 80–84. Meyerowitz, E. L. R. (1949), "Bono-Mansu, the earliest centre of civilisation in the Gold Coast", Proceedings of the III International West African Conference, 118–20.